The Duke Gap Year Program provides funding for students who wish to take a gap year prior to enrolling at Duke. We are excited to announce that the application for the new Duke Gap Year Program is now available! Each year, more students consider taking the year after high school graduation off before they head to college. Our approach to a gap year is simple. There are few opportunities in life to take a meaningful amount of time to pause, reflect, explore, and grow. There are even fewer where you can do so knowing you have a truly exceptional opportunity waiting for you. Students who come to Duke typically have been focused, active, and successful, for many years. 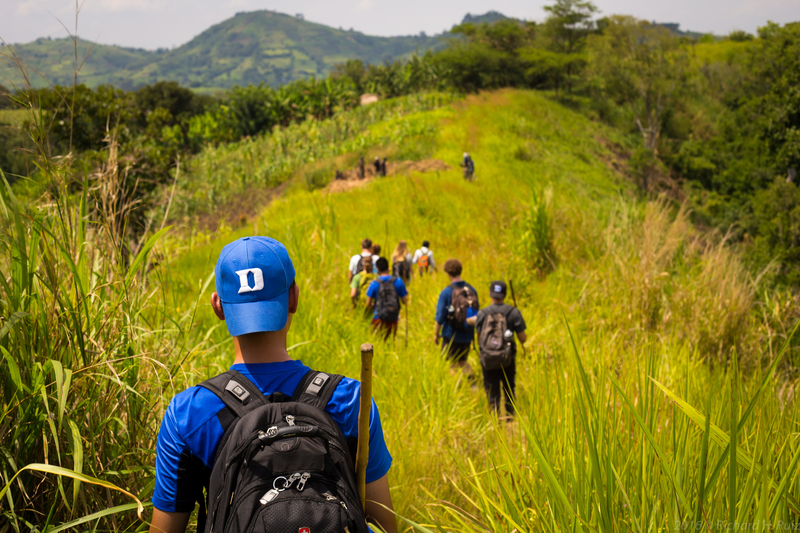 This is your opportunity to catch your breath for a year, to gain some perspective, to make a difference in a community near or far, to grow as a person, and to be better prepared for all that college has to offer, all with financial support from Duke. Students accepted to the Duke Gap Year Program will receive between $5,000 and $15,000 towards the cost of their chosen gap year program. A simple application for participation and funding will be available in early 2019. We encourage students receiving need-based financial aid to apply. Gap year funding will not affect students’ financial aid packages. The Duke Gap Year Program will be available to students admitted both in our Early Decision and Regular Decision processes. Students are responsible for applying to gap year programs. They can consider one of the many programs that will be listed on our website, choose one of their own, or create one independently. Students taking a gap year are not required to participate in this program; they can choose to do so independent of the Duke Gap Year Program and funding. All students taking a gap year, either independently or through the Duke Gap Year Program, are required to enroll at Duke after their gap year. The application is available to Duke admitted students and the deadline to apply is May 5, 2019. Photo courtesy of DukeEngage. Like DukeEngage, the Gap Year program encourages personal growth and provides opportunities for meaningful service. Gap Year Program is powered by WordPress at Duke WordPress Sites. Please read the Duke Wordpress Policies. Contact the Duke WordPress team.